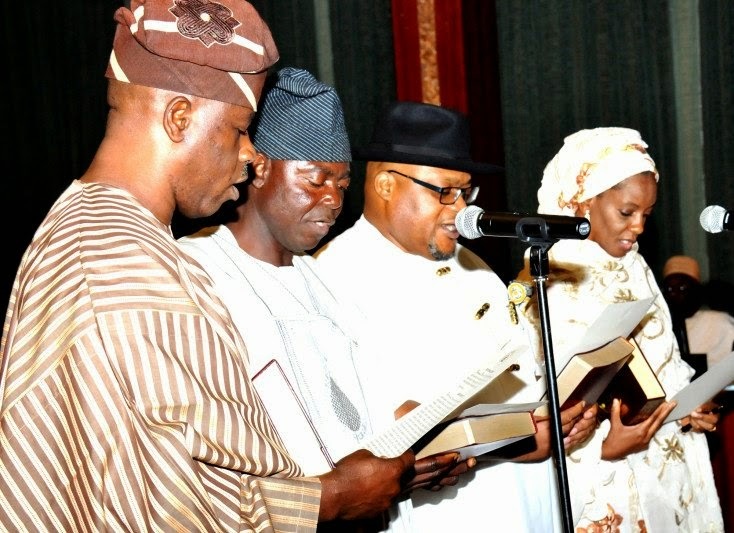 President Goodluck Jonathan on Wednesday swore in ‎eight ministers that were recently cleared by the Senate. The president equally effected a minor cabinet reshuffle as Dr. Alhassan Khaliru‎ has been named Minister of Health while Engr. Fidelis Nwankwo, (Ebonyi State) is now the new Minister of State, Health‎. Jonathan also swore in two commissioners for Federal Civil Service Commission, Dr. Jonah Madugo. ‎He is to represent Benue, Plateau and Nasarawa states and National Population Commission, Mrs. Abimbola Ogundeyi.